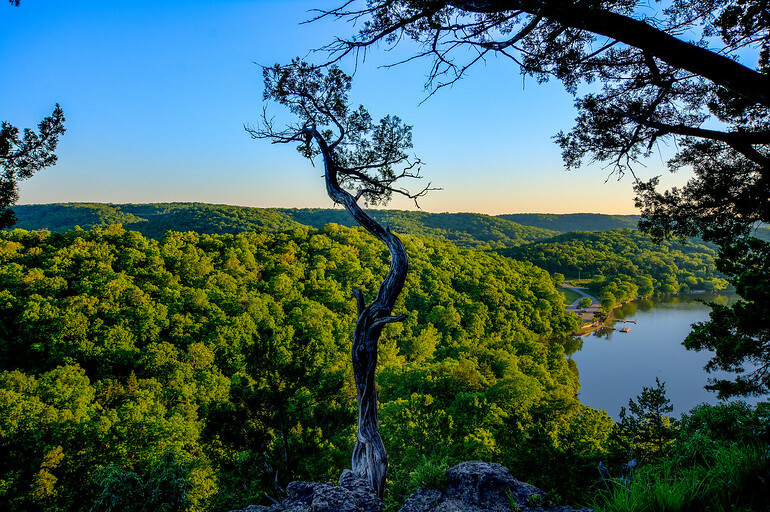 The “castle” at Ha Ha Tonka state park sits on top of a high bluff. Looking in one direction you see the burned out mansion, turn around and this is your view. This is a photo taken at sunset in order to get the nice lighting you see on the trees.